Here at Creations Galore we have so much paper, we're not sure you'll ever see it all! Therefore, every Friday we're showcasing a store favorite, giving you the opportunity to say, "Wow. They have that?!" Today we're showing off Fall Harvest from the Harvest collection by Reminisce. 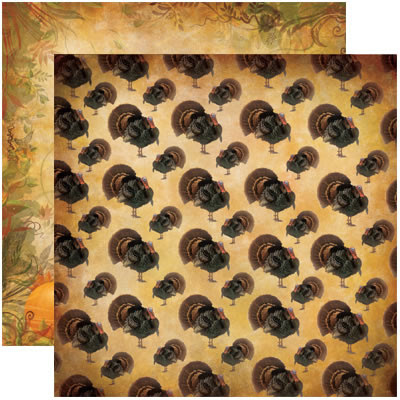 This collection has beautiful fall papers that will coordinate perfectly with halloween, fall, and hunting season. I think it would be great for masculine cards as well! What do you think of this week's paper?